Historians and archaeologists have defined periods of human history for centuries. They have defined them by the technologies or materials that made the greatest impact on society. This includes the Stone Age. It includes the Bronze Age. And it includes the Iron Age. But what age are we in now? That question can be answered with one word for some researchers. Plastics. That's according to Atlas Obscura’s Cara Giamo. The idea of named ages is not to be confused with geologic subdivisions of time. One example of those is the Holocene. Nor should it be confused with the proposed Anthropocene. This proposed age is a period resulting from massive human impact on the planet. This most recent geologic epoch is not yet official. But there have been many calls for its designation. A recent study argued that the Anthropocene began during the mid-20th century. It said it began with the detonation of the first nuclear bombs. That's according to Ker Than, writing for Smithsonian.com. The last geologic epoch was the Holocene. It is thought to encompass both the Bronze and Iron Ages. But we do not yet have a tool or material to define our current age. Scientists point to a few specific changes that humans have wrought on the planet. These include nuclear fallout. It includes the rapid spread of materials. Those materials include aluminum. It includes concrete. It also includes silicon. These are forensic proof of humanity’s influence on Earth. Plastic “has redefined our material culture and the artifacts we leave behind.” It "will be found in stratified layers in our trash deposits.” That's according to John Marston. He is an archaeologist. There is no place on Earth that plastics are naturally made. The wide variety of synthetic polymers would not exist if it weren’t for human action. About six billion tons of plastics have been made and spread around the planet. They have been spread from forests to oceans. That is since the first plastic polymers were invented. Plastics are one of the most significant changes that humans have made to the Earth’s makeup. That is along with the first nuclear detonations in 1945. So reports Andrew C. Revkin for the New York Times. This means that much of the materials thrown into recycling bins can crisscross the planet several times. This is before they are processed. They make rugs. They are made into sweaters. Or they are used to make other bottles. That's according to Debra Winter writing for The Atlantic. 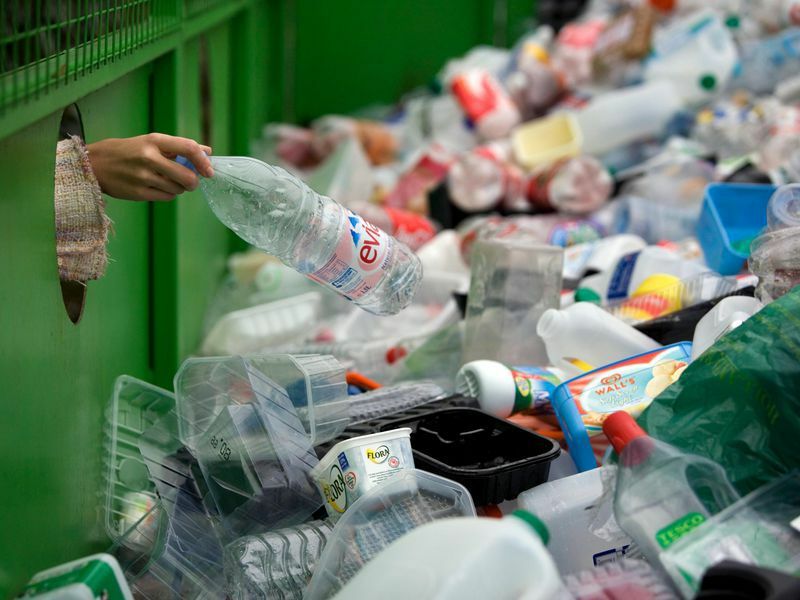 Millions of tons of plastic are recycled every year. But millions more end up in landfills or the ocean. The problem has reached the point where it’s possible that in just a few decades there might be more plastic in the world’s oceans than fish. “Plastics have a presumed life span of over 500 years. So it’s safe to say that every plastic bottle you have used exists somewhere on this planet, in some form or another,” Winter writes. The damage may already be done. It may be too late for human populations worldwide to change their plastic-using ways. Plastics are filling landfills. They are washing up on coastlines around the world. So the Plastic Age might soon take its place next to the Bronze Age and the Iron Age in the history of human civilization. This article was interesting. It talked about plastic and how it is changing and how it is not making a good effect on our planet. They also talked about why and how it is making a bad effect on us and animals. This article is about our society today and how we are considered to be living in the plastic age because of our excessive use of plastic. Plastic is bad because it isn't naturally made. Most plastics don't easily degrade, or recycle. Some people however want to help the Earth by finding a solution, but it may be too late to save the Earth now. A lot of people don't want plastic on the ground . Because it can make animals sick. Some people don't care about plastic making animals sick and some animals can die from eating plastic. people throw trash and plastic all over the ground and grass and every were. And that's what some people think of plastic. i like this article because i teaches me how is plastic important to the world. 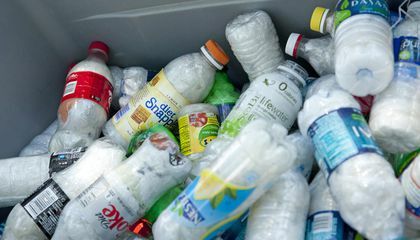 i liked this article because it talked a lot about plastic and plastic helps us use and do a lot of things. Wow that is so much plastic now I will recycle more plastic and not throw it away.